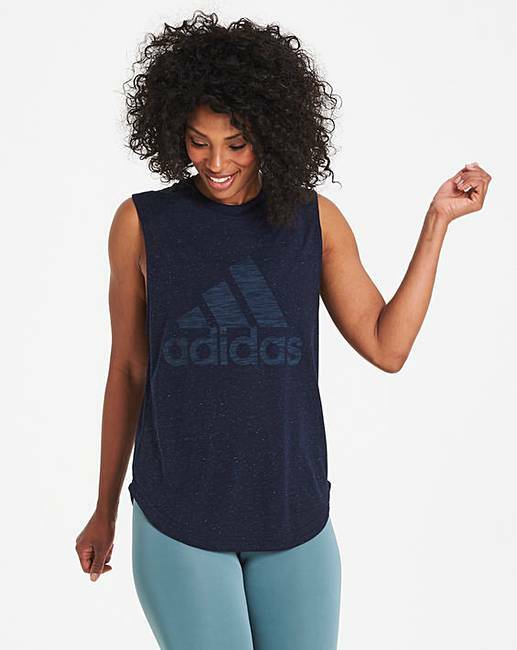 adidas Winners T-Shirt is rated 3.0 out of 5 by 2. 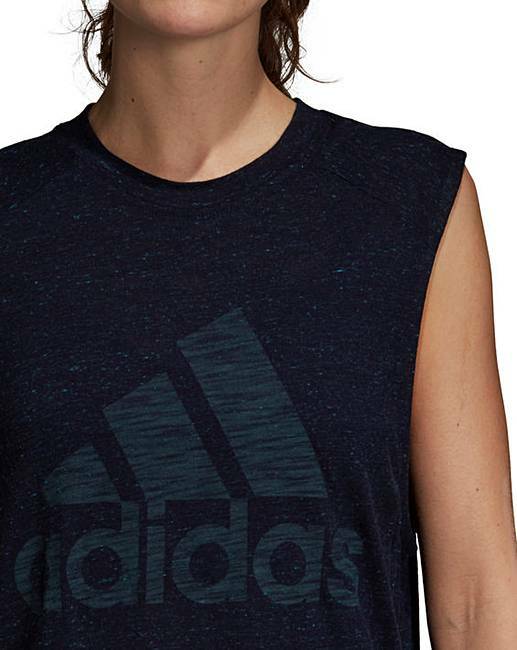 This adidas women's sleeveless T-shirt shows off hard-earned deltoids and biceps. 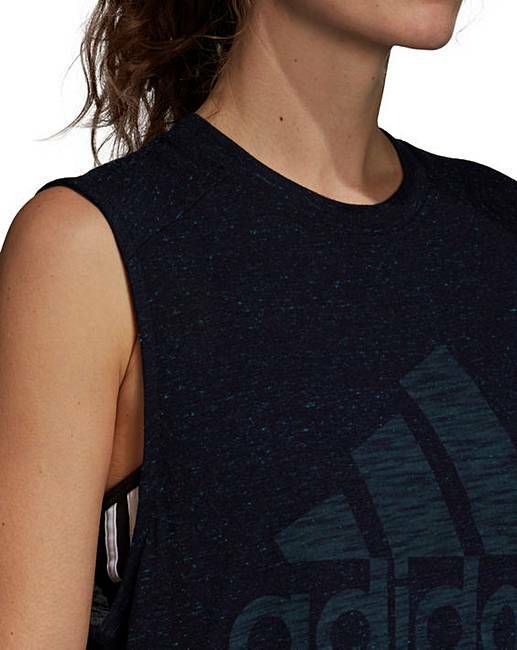 The relaxed-fit tee is made of lightweight jersey and features a big adidas Badge of Sport on the chest. Rated 5 out of 5 by Mickey from Sports top Being a larger lady size 24. 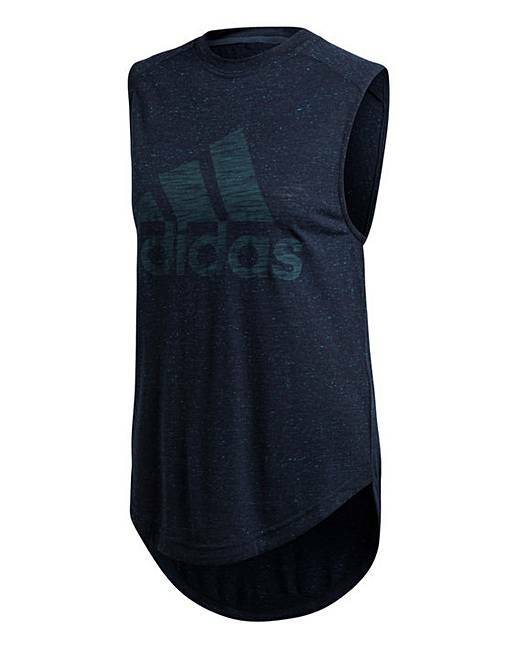 Just started kick boxing Was worried I wouldn’t have a sports top. 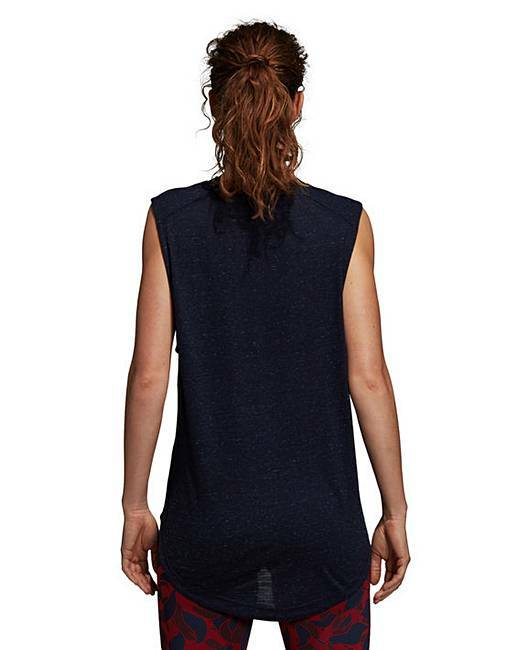 This top is comfortable and looks good. Rated 1 out of 5 by linzibop from Vert unflattering, badly sized This couldn't be any more unflattering for a curvy lady. I ordered a size up from what I would usually wear in a top because I didn't want it clinging to me at all, yet it still did, right were my belly is, which literally couldn't make me look any worse. Cut for straight up and down people. Nice colours and fabric though.